Suzanne Williams-Rautiola's essay titled Animated Fathers: Representations of Masculinity in "The Simpsons" and "King of the Hill", presents the idea that in these aforementioned animated sitcoms, the lead males are not characterized to be a "culturally idealized form of masculinity." They write that while moreover, they represent two very different and complex forms of masculinity. For example, Hank Hill embodies only a few buffoonish characteristics that Homer had, but many of the culturally idealized forms of masculinity. Those being characteristics defined by his strength, or moreover, physicality. 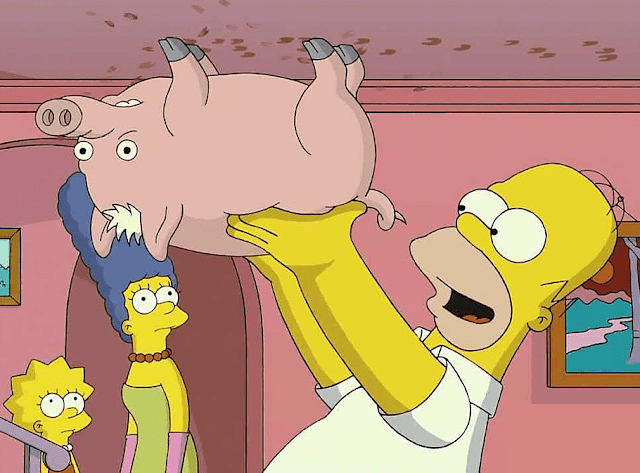 Homer is the complete opposite, even to the fact that even his children "outdistance" him. Peter Griffin from Family Guy falls in-line with the both of them as he exhibits characteristics of both men. He's the buffoon, he's the hegemonic masculine figure. He's a normative masculine, seemingly middle-class white male. Therefore, he has it all. And seemingly following suit, the show has garnered multiple seasons of the main characters transgressing through multiple issues involving the topic of masculinity and the representation of the family. You could even extend this to Stan's character in Seth McFarlane's other show, American Dad, which serves to explore these topics further. One could even cite The Clevland Show as another show that is doing something quite similar, but also doing so via an African American man, which adds another layer of how one might read these issues.